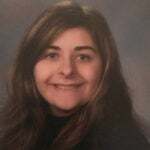 Michelle Gillen is a writer and a recent graduate of SUNY Cortland with a Bachelor of Arts in Professional Writing. She is well-rounded in many forms of writing and is always looking for opportunities to grow and maximize her skills. See her website at michellegillen.weebly.com for her writing portfolio.